Privacy Filters help block the screen view from anyone viewing the computer from the side. 3M's unique microlouver privacy technology allows persons directly in front of the computer to see on-screen data clearly, but prevents casual onlookers from viewing your screen. 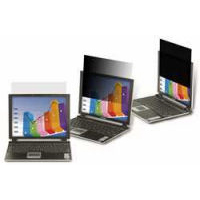 Excellent for open, high-traffic environments or wherever on-screen data needs to be kept private, these screens use darkening privacy technology, rather than common blurring or distorting of screen data. 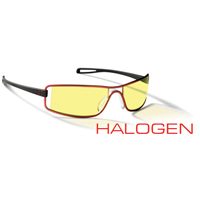 Protects the fragile surface of LCD screens from scuffs and scratches, offering 65% light transmission. 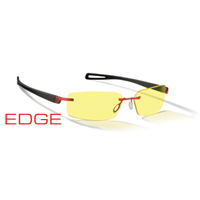 Plastic, with frameless mounting and bezel design, easy-on, easy-off attachment system. Reversible for matte or glossy finish (reduces reflections when used with the matte side facing you). Manufacturer's warranty is one year. Fits notebook computers with a 17" widescreen (measured diagonally), filter stays in place when laptop is closed. Fits both notebook computers and LCD desktop monitors with a 17" screen (measured diagonally). 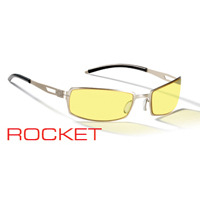 Helps protect fragile LCD screens from scratches and damage. To help you select the correct filter for your laptop/monitor, consult our 3M Privacy Filter Guide. 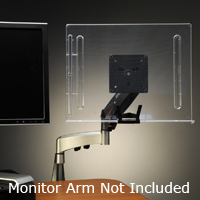 The Document Holder for Monitor Arms by Vu Ryte attaches to the tilter of a standard monitor arm (not included), allowing the user to position reference materials alongside a computer monitor. The ledge on both models can accommodate a book or a thick stack of papers. As well, both models include a clip to secure papers, and a line guide. Positioning reference materials at the same height as the monitor and directly beside it helps to reduce neck and upper back strain associated with viewing documents placed flat on the desk. Removing papers from the desk surface also allows the user to bring tools such as numeric keypads or calculators further into the comfort zone. The Document Holder for Monitor Arms comes in two sizes—the 18” wide VUR-18MA, and the 14” wide VUR-14MA. Both attach to a VESA plate on a monitor arm using the 100 mm x 100 mm VESA hole pattern on the document holder. The Monitor Visor from Kantek prevents overhead and lateral reflection and glare, either from overhead lighting or windows. The full length sides provide privacy and the entire unit is fully adjustable and made of durable high impact plastic. A velcro strip is attached to the top of the visor to affix it to the LCD or CRT, ensuring that the visor doesn't fall off during normal use of the monitor. Installation is quick, easy and requires no tools. 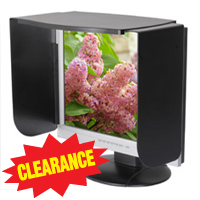 These monitor visors are designed to fit traditional 4:3 Ratio CRT and LCD monitors but can also be used with some newer widescreen flat panel monitors (see NOTE below). There are two sizes, one for 14"-17" 4:3 ratio monitors and a larger one to fit 19"-21" 4:3" monitors. Note:Fitting to Widescreen Monitors: Only the larger MV19/21B will work with widescreen monitors and only those with the following parameters: Maximum physical width of monitor no greater than 20.5", minimum 1/2" wide side bezels on front of monitor, 1/2" minimum flat surface along the top of the monitor, and a mimiumum 13.5" height from desk to top of monitor. The Swivel Pad by Aidata enables you to share the view of your desktop monitor or your laptop screen by swiveling 360°. It has non-skid rubber pads on both surfaces to ensure that your monitor (or laptop) stays in place on your presentation surface. It is only 7 millimeters thick, and is compact and portable. 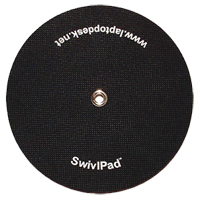 The SwivlPad from LapWorks is a low-profile turntable for use with a suitably sized laptop or LCD monitor. 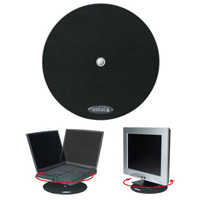 At 8.75" diameter with a weight capacity of 20 lbs, you can easily share your viewing screen with others simply by swiveling the turntable in any direction (360°). 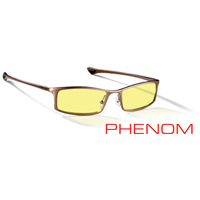 Uses a Telfon inner layer for effortless and smooth turning. 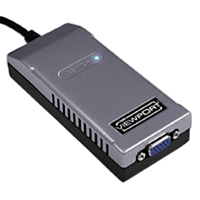 The ViewPort Computer Video Adapter for USB is the fast, easy way to connect an additional monitor to your PC computer system (this does not work on Macintosh computers). Because it transmits video data through the USB port, you don't even have to open your computer, making it simple for anyone to install and ideal for notebook users.